"The attack happened at 6.30am. Just two of the dead are men, the rest are women and children. The bride is among the dead." An Afghan government investigation has concluded that 45 women and children and two men were killed when a US aircraft bombed a wedding party in eastern Afghanistan last Sunday. The mourning groom Shah Zareen (L) and his father Lal Zareen describing the day. 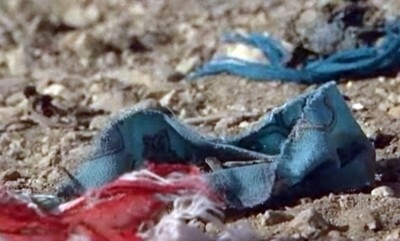 BBC, Jul.13, 2008: Scattered around are chunks of twisted metal, blood stains and small fragments of sequinned and brightly decorated clothes - the material Afghan brides wear on their wedding day. The nine-man investigation team appointed by the Afghan President, Hamid Karzai, found that only civilians were hit during the airstrike. Burhanullah Shinwari, the leader of the investigation team and the deputy speaker of Afghanistan's Upper House, said: "We found that 47 civilians, mostly women and children, were killed in the airstrikes and another nine were wounded." The claims of civilian casualties were initially strongly rebutted by the US military. A US military statement released last Sunday claimed: "intelligence revealed a large group of militants operating in Deh Bala district. Coalition forces identified the militants in a mountainous region and used precision air strikes to kill them." This morning, a military spokesman said that a separate US investigation into the incident was ongoing. A US military spokesman, Lieutenant-Colonel Rumi Nielson-Green, told The Times: "We don't have a position on this. There is an ongoing investigation, which has not concluded yet. Any loss of civilian life is tragic and we go to great lengths to avoid civilian deaths. Certainly, I can say that no civilians were targeted." Local officials in Deh Bala produced graphic testimony of what they said was a bomb strike on a party of around 70 or 80 civilians accompanying a wedding party on foot. The Governor of Deh Bala, Haji Amishah Gul, told The Times: "The attack happened at 6.30am. Just two of the dead are men, the rest are women and children. The bride is among the dead." Injured civilians later arrived at the main hospital in Jalalabad, repeating claims that a wedding party had been hit near the village of Ka Chona. One of the injured, who identified himself as Kerate, said that a group of around 70 people, mostly women, were escorting the bride to meet her groom, as local tradition dictates. He said: "We were bombed. I couldn't figure out what had happened and I went unconscious. When I woke up, I saw lots of people killed and injured." 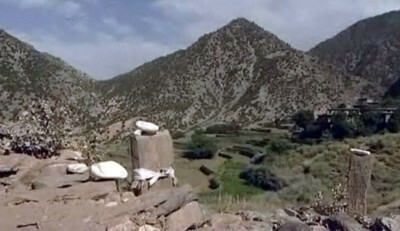 The incident in Deh Bala came two days after another claim that US forces killed 15 civilians during an airstrike on two vehicles in the province of Nuristan. A charity, the International Medical Corps (IMC), reported the deaths of three of its medical workers in the incident. A statement on the IMC website said that they died with local villagers while trying to flee fighting in Waygal Dstrict after US forces issued a warning to local people to evacuate the area. US military officials said an investigation into the incident was still ongoing. Civilian deaths are a deeply emotive issue amongst ordinary Afghans and one on which President Karzai has directly criticised Western forces on numerous occasions. 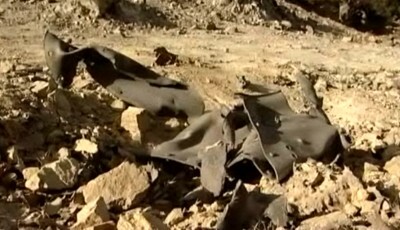 An early public relations disaster for Western forces was the bombing of a wedding party in Uruzgan Province in July 2002 after US pilots mistook celebratory gunfire for an attack. Figures released at the end of June by the United Nations claimed that around 700 Afghan civilians lost their lives in the first half of the year in violence, an increase of around two thirds on the same period last year. According to statistics compiled by UNICEF only 24 percent of Afghanistan's teachers are qualified under Afghan law, meaning they completed a two-year training course after high school.